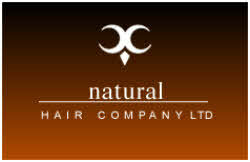 When you experience any hair service at natural hair company you can rest assured that you are in expert hands. “full client consultations and follow-up are key to our salon’s philosophy and we invest heavily in the training and development of our team” says martine broggy. - The start of the year brought us the spring/summer press launch which featured in northern ireland’s top magazines northern woman and ulster tatler. The team pride themselves in doing diverse work such as, location photoshoots, charity fashion shows and working closely with l’oreal professionnel. Every year we send a member of our team to london to work at graduate fashion week and this year we have two members of our team taking part in northern ireland’s new evolution team. - This passion is evident in the team who compete at the highest level in an array of prestigious hairdressing competitions. Our artistic team put together a collection of new trends for spring/summer and are already on the ball for autumn/winter. From photoshoots with leading make-up artist oonagh boman to working at london fashion week, along side british hairdresser of the year angelo seminara, model 1 modelling agency and saint martins top fashion college we are buzzing with new ideas and oozing creativity. - With the team firmly switched on to the latest hair fasions and trends, clients can reap the rewards of this ambition and drive. Welcome to Kube Hair Consultants *** Call into our award winning hairdressers in Lisburn for outstanding hair styling! With over 20 years of experience and a dedicated team of hairdressers for colouring, styling and event hair makeovers, you can rely on us for an outstanding service. Based in Lisburn, we welcome customers from all across County Antrim, including many who come to us from Belfast. Welcome to Copper If you are looking for a professional stylist in Lisburn then make sure you get in touch with the experts here at Copper today. We are a salon that has vast amounts of knowledge and experience. We are dedicated to providing you with a look you will love, and providing a first class experience for all of our clients. *** Wedding Hair in Lisburn *** We are based in Lisburn, and we welcome clients from all of the surrounding areas. We have ample parking at the front and back of salon for your convenience. We are all time served hairdressers, and we are all highly trained and fully qualified. Our wide range of services includes: Hair Cuts and Restyles -- Hair Colouring -- Colour Correction -- Perms -- Hair Extensions We use top quality products including exclusive TIGI products, and wedding packages are also available. If you would like to find out more then please do not hesitate to get in touch with us today. Established in Moira over 17 years ago and in Lisburn in 2006, award winning salon bleu hair company have a reputation in hairdressing that is second to none. The interior of the Lisburn salon is large, sophisticated and modern; coupled with a team of professional and experienced stylists, bleu hair company hairdressers treat their client as individuals. These Lisburn hairdressers will get to know what you want. Because they listen, bleu hair company have clients that come back time after time.